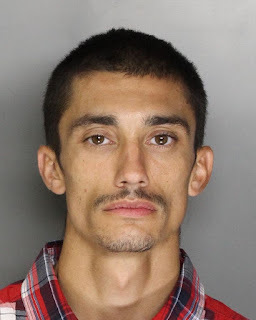 Two Sacramento men were arrested and one remains in custody at the county jail on vehicle theft charges. On the morning of Friday, July 21, Samuel Liashenko, 45 was contacted by Elk Grove Police at his residence on the 7800 block of Bradshaw Road. The contact and investigation was a follow-up on the arrested of Jeremy Michale Rafanan (pictured above), 25, who was already in custody on other charges. A consent search of led to the discovery of three reported stolen vehicle and an assortment of vehicle parts. Liashenko was arrested and booked into the county jail. As a result of the search, additional charges were filed Rafanan who is ineligible for bail and is being held on numerous misdemeanor and felony charges. Liashenko was released after booking at the county jail.